Pristine Studio by the River! 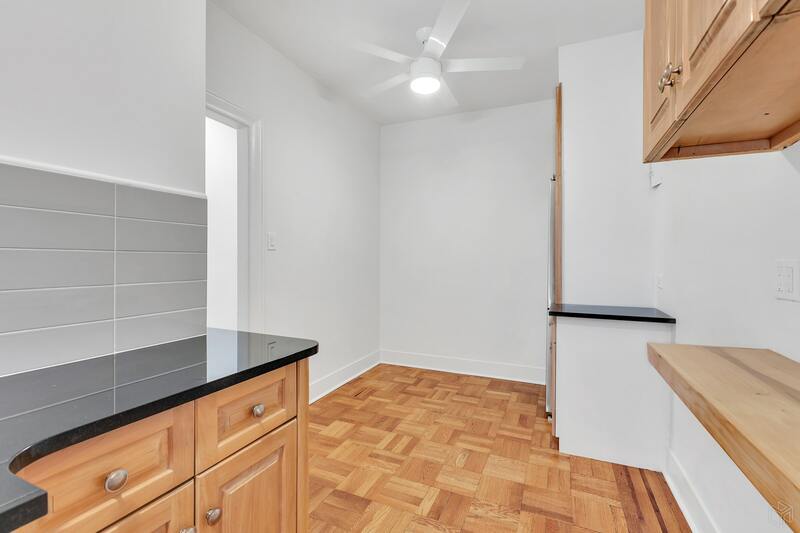 This newly renovated, pet-friendly Hudson Heights co-op studio boasts prewar charm with separate bright living spaces, high ceilings, floor moldings and refinished hardwood floors complete the look! 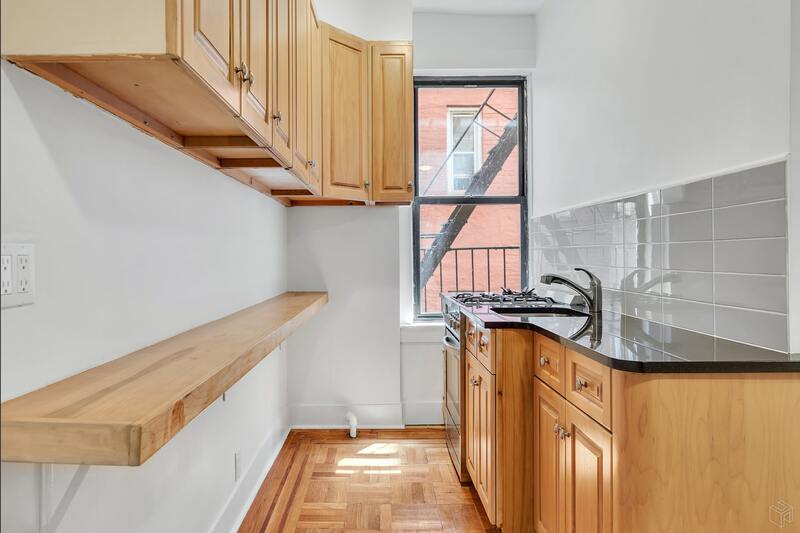 This lovely apartment is situated in its own third floor corner with just one wall abutting neighbors! The living/sleeping area features: large windows, French door, window AC and an efficient lighted remote control ceiling fan. The windowed eat-in kitchen features abundant counter space with granite and beautiful wood countertops. The bathroom's glass shower wall is modern and sleek. 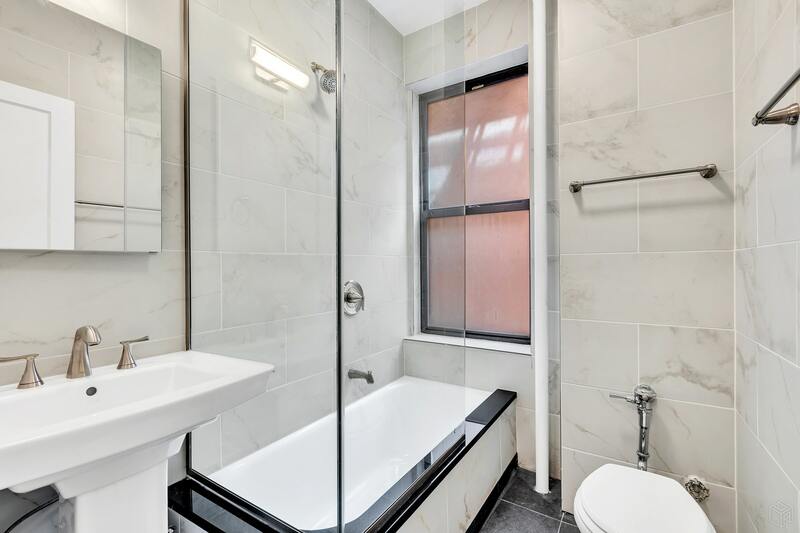 New fixtures, floor-to-ceiling tiles, sink and doubled mirror medicine cabinet complete this well-appointed bathroom. 90% financing allowed. 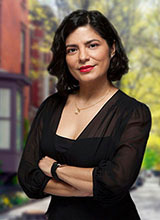 One year sublet permitted with a max. of 5 years. Built in 1923, West Gate House Co-op is well-run, elevator building with a live-in super, storage lockers, bike storage (additional charge), 24 hour camera security, two on-site laundry facilities, community room and 2 outdoor courtyards. 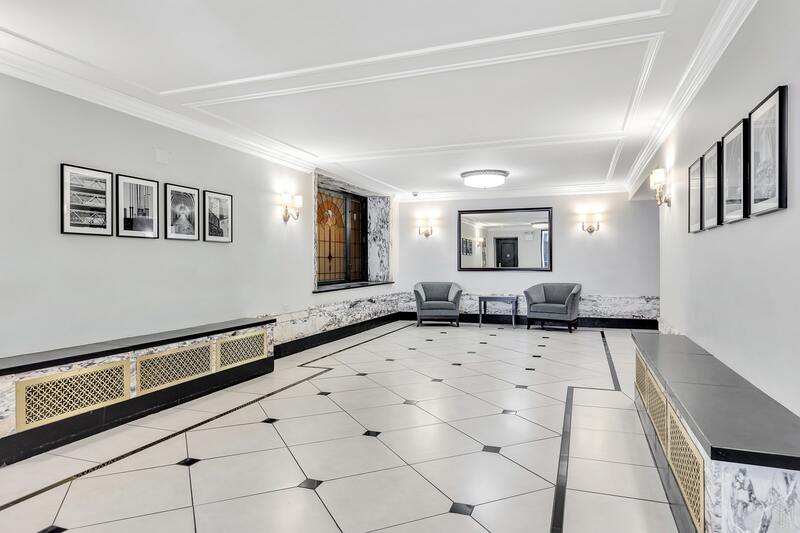 A capital improvement was recently completed with elegant new lobbies, movement detector lighting in common areas and thermostatic controls installed on all radiators. 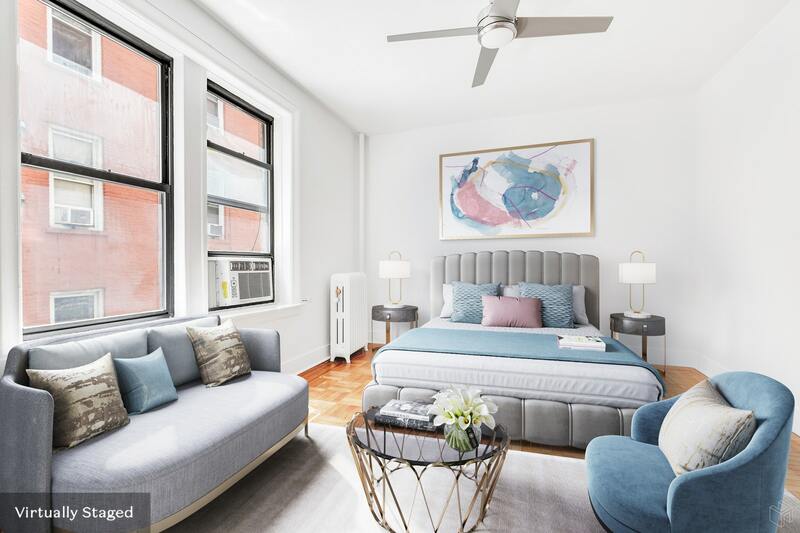 This vibrant neighborhood is in close proximity to many neighborhood restaurants, a much loved Pilates studio and grocery markets and some of NYC's most beautiful parks, including Fort Tryon and Fort Washington with the Little Red Lighthouse alongside the Hudson River. The A and 1 trains, as well as a throng of bus lines are just minutes away. 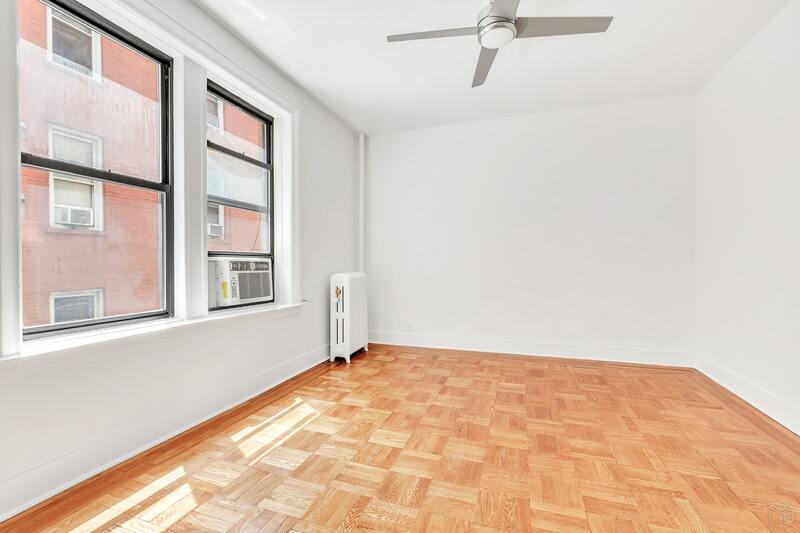 Come make this Upper Manhattan neighborhood your new home!